We rely on our vehicles for transportation, safety and convenience. When something isn’t working properly, it can hurt our day-to-day routine, as well as our wallet. It is best to consult your vehicle maintenance schedule for specific information, but here are a few routine checks that can keep your car running smoothly and save you money in the long run. Oil. 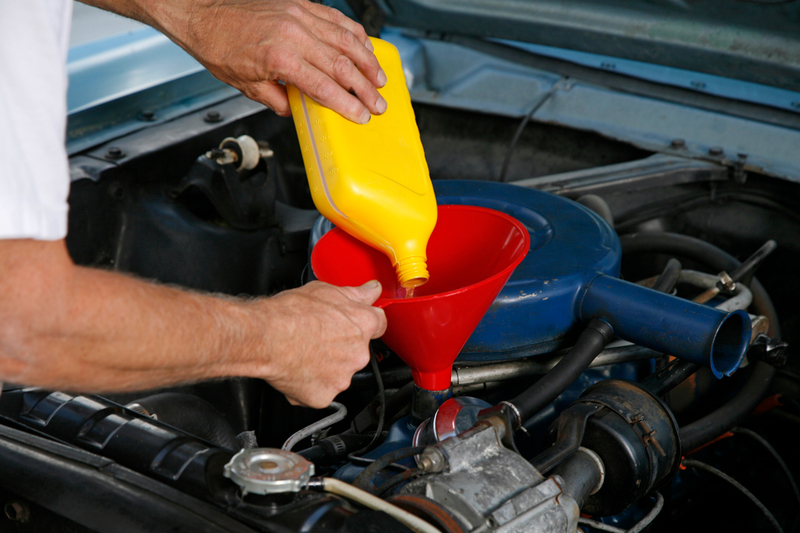 Regularly changing the oil in your car is one of the easiest things you can do to keep your car running. It is recommended to change the oil every 3,000 to 5,000 miles. Tires. Check the tire pressure at least once a month. Check your owner’s manual to see if there is a recommended rotation schedule. A general rule is to rotate them every 6,000 to 8,000 miles. Check their alignment and balance annually. Brakes. Have a mechanic look at the brake pads and other components once a year. If your brakes begin to squeak or sound different, have them checked immediately to minimize possible damage. Battery. Most car batteries will last about three years without requiring maintenance or replacement. It is a good idea to have it checked occasionally once it gets to be around three years. Engine coolant. Dirty coolant fluids can allow rust particles to build up. Car manufacturers generally recommend you flush your radiator at least every other year or every 40,000 – 60,000 miles.